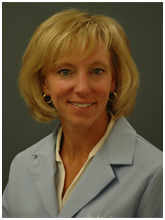 Dr. Kimberly A. Busch is a lifelong Illinois resident who graduated from the University of Illinois College of Dentistry and began practicing dentistry in 1991. She completed her undergraduate degree form the University of Illinois in 1987, where she earned a Bachelor of Science Degree. Upon graduation from dental school Dr. Busch proudly served in United States Navy Dental Corps. For the next six years, while serving in the navy, she received extensive postgraduate dental training in Oral Surgery, Periodontics, Endodontics, and Oral Diagnosis along with being awarded other honors such as the Navy Commendation Award and the Humanitarian Mission Award. Dr. Busch has completed numerous credit hours of postgraduate training at The Pankey Institute for Advanced Dental Education, one of the world's premiere continuing education institutes (www.pankey.org). In addition to pursuing advanced study at The Pankey Institute, she has participated in numerous professional study groups and is a member of the American Dental Association (ADA), American Academy of Cosmetic Dentistry (AACD), and Illinois Dental Association. Dr. Kim has pursued extensive postgraduate training in order to provide the finest comprehensive care. This training includes concentrations in achieving optimal occlusion (the way your teeth come together when you bite), esthetic restorations that predictably last, dental implants to replace missing teeth, comprehensive smile makeovers, and interdisciplinary team dentistry for solving complex oral health problems with the assistance of specialists. Dr. Busch is involved in many volunteer services to the poor, children, and the elderly, both in the local area and as a mission volunteer in Mexico, the Dominican Republic, and Haiti. She is very active in her community of Northbrook where she resides with her husband, three sons, and daughter. Her passions include triathlons, gourmet cooking, reading, gardening, and family bike rides.